passed away on 18th December 2003. Shahnaz A'lami, b. 1921, Esfahan. In 1954, one year after the Shah's coup d'etat and the overthrow of Mosaddegh's government, she left Iran and resided for many years in former East Germany. Berlin was her final home until her death in December 2003. 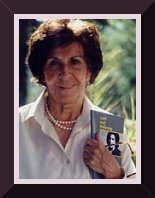 Among her many and varied cultural roles, she ran an Iranian School, where pupils are taught Persian language and culture. Mr. Now Ruz and Miss Manizheh [Now Ruz Agha va Manizheh Khanom, 1970, A story in verse for children]. She has also written biographical sketches and critical work on women's role in Persian Literature. But what a big mistake! So was my empty magic suitcase. Who are all in the same suitcase. to be buried with me. And her will is foolish! What sort of will is that! of the professional magician of love? (1)	Noe-Rooz, or NowRuz, the Persian New Year's Day (21 March in the Western calendar) is followed by twelve days of celebrations and visiting relatives and friends. (2) Persepolis was the ceremonial capital of Darius, Xerxes and other kings of the Archaemenid period. Baghestan Mountain, near Kermanshah in western Iran, has on its face a bas-relief depicting Darius I, with captive chiefs and a record of his reign. In the same province was the palace of Shirin, an Armenian princess who is said to have been the wife of khosrow Parviz (521 - 628), one of the greatest kings of the Sassanid period. (3) Cham is a village near the town of Na'in, famous for its carpets. (4)	The words in italics are part of a famous couplet from the "Masnavi" of Jalal-od-Din Rumi, one of the greatest Persian Mystic or Sufi poets, who is also known as Mowlavi. He lived a good part of his life in Konya in Turkey, where his tomb is a shrine for a dervish sect known as "Mowlaviyyeh".